A massive recall is coming. An automotive recall is never a good thing, but when cars have a potential for catching fire, things are really bad. 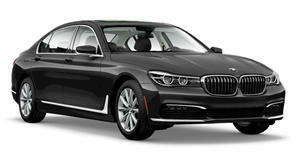 BMW is sadly no stranger to issuing recalls for fire risk. The company recalled and more than Now BMW of North American is recalling 47,806 BMW, MINI, and Rolls-Royce vehicles in the U.S. for risk of potential fire. This recall is no where near as bad as previous recalls in terms of numbers, but the German automaker may not be ready to fix the affected cars right away. According to BMW, an auxiliary water pump could fail on affected vehicles, causing a circuit board to overheat and catch fire. Dealerships will replace the pump free of charge, but replacement parts are not available yet. Affected owners will be notified June 11, 2018 and again when replacement parts are available, though BMW didn't give an exact date. Until the new part is installed, BMW recommends owners to park their vehicles outside to avoid a potential house fire. The list of vehicles affected by the issue is wide and vast, including models from each of BMW's three brands: BMW, MINI, and Rolls-Royce. 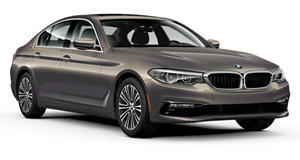 Affected BMW models include: 2011-2012 550i, 550i xDrive, 550i Gran Turismo, 550i Gran Turismo xDrive750i, 750Li, 750i xDrive, 750Li xDrive, 760Li, X5 xDrive50i, X5 M, X6 xDrive50i, X6 M, ActiveHybrid7, 2011 X6 Hybrid, 2012 650i Coupe, 650i xDrive Coupe, 650i Convertible, and 650i xDrive Convertible. 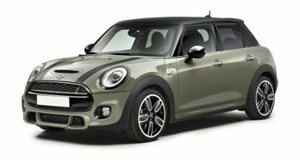 The affected MINI models include 2011-2012 Cooper S Convertible, John Cooper Works (JCW) Convertible, Cooper S Countryman, Cooper S Countryman ALL4, Cooper S, JCW Cooper S Clubman, JCW Clubman, Cooper S Roadster, JCW Roadster, Cooper S Coupe, and JCW Coupe. The recall also includes certain 2011-2012 Rolls-Royce Ghost models.